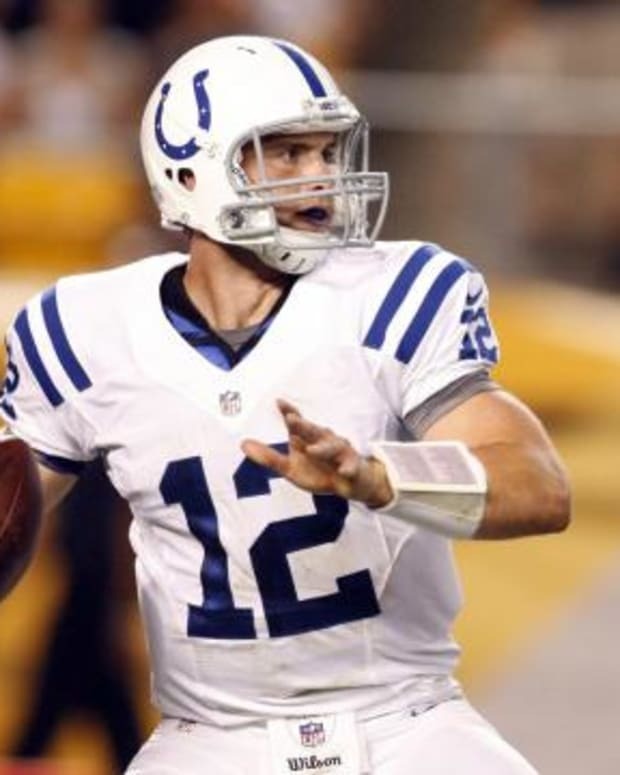 In a phone interview with ESPN, Stanford quarterback Andrew Luck said Monday night that he intends to apply for entry into the 2012 NFL Draft. When asked about his plans for next year, stated, “I think I’m going to hopefully play professional football if the Indianapolis Colts a team will have me.” He then said he was “absolutely” prepared to go to the NFL after this season. Luck, an architectural design major and was named as a finalist for the Heisman Trophy earlier on Monday, has one year of college eligibility remaining. - Ok, I lied, he didn’t say that… But he might as well have….